Today is Facebook’s 12th birthday, and to celebrate, it’s offering you a video of your friendships over the years. It gives you a fun way to see how much people have changed, particularly if you’ve been on Facebook for a long time. 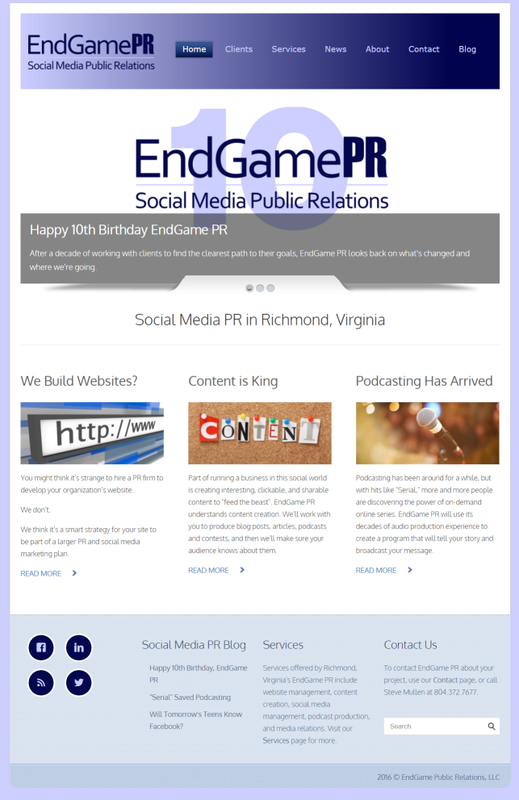 Last week was EndGame PR’s 10th birthday, and one of the ways we celebrated was to launch the all new website you’re looking at right now. 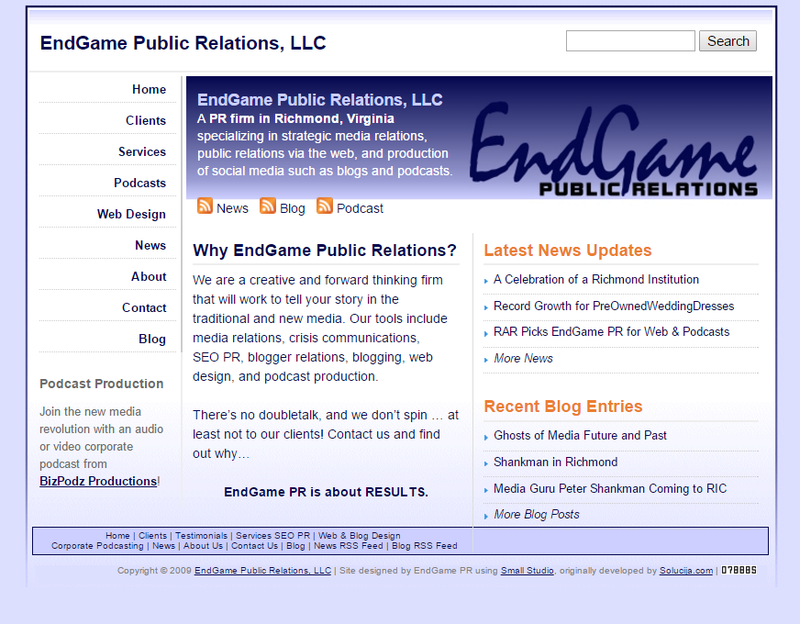 As I was in the process of building the site, it hit me just how much EndGamePR.com has changed since I published the first version in early 2006. So, I decided to take a look back. 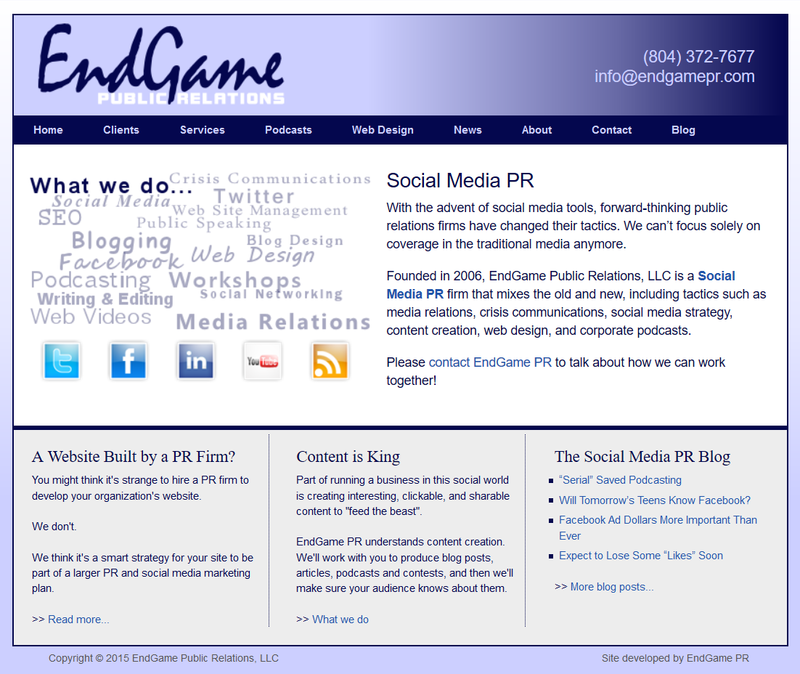 Here is the design for the very first EndGamePR.com … in all its glory. Click the image for a larger version, if you dare. The site was straight HTML with no CMS. What this means, in short, is that it took a good long time to build and to update. While they look pretty rough now, these first two designs were not bad for 2006 to 2008. Check out what Yahoo.com looked like back then! If you notice some fonts not being consistent, don’t blame that one on me. 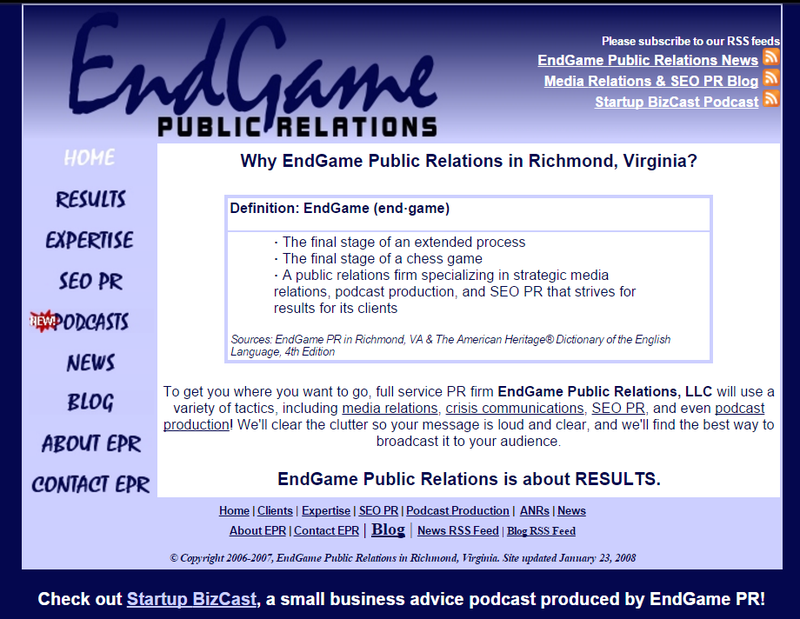 I grabbed this screenshot from the Internet Archive’s Wayback Machine, which tends to mess with fonts sometimes. As you can see, I was getting better at building websites. This version launched in early 2010 and stuck around for a good long while — longer than it should have, if I’m being honest with myself. I probably kept it so long because I was always so fond of the look. Also, there’s the whole “shoemaker’s kids have no shoes” thing. I was so busy working on other people’s sites that I didn’t have time for my own. 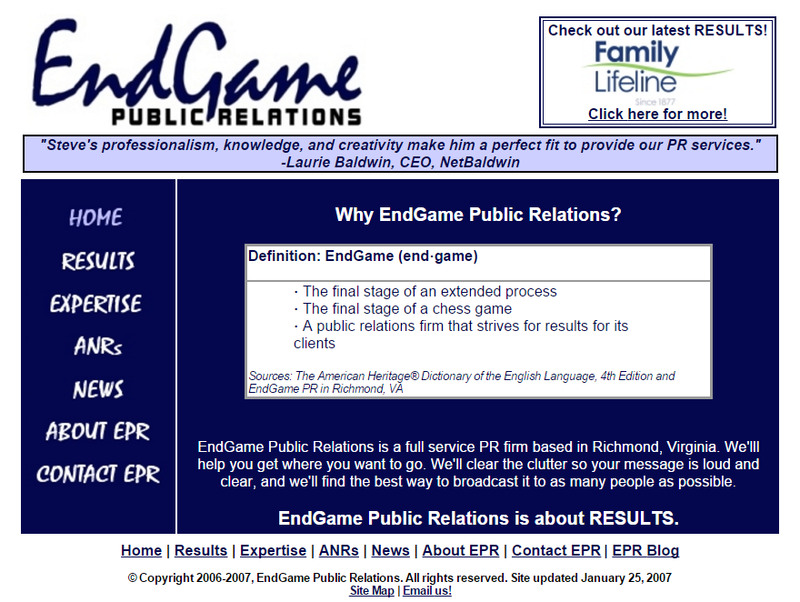 But, as EndGame PR’s 10th birthday approached, I knew it was a great time to launch the all new EndGamePR.com — the one you’re looking at now. This new site has a lot of benefits, other than just being “new.” The most important is that it’s responsive. What that means is that its design changes to best fit the size of the screen being used to view it. Mobile design is extremely important these days, and not having it can actually harm your search engine rankings. I’d love to hear any feedback you have about the new website. Feel free to leave it in comments, or just shoot me a private note via our contact page.